1) (Truro, co. Cornwall). Gu. a cross botonnée ar. charged with four escallops sa. Crest—On a mount vert a Cornish chough ar. wings expanded, beaked and legged gu. gorged with a bar gemelle or. 2) (Chaldon-Humphrey, co. Dorset). Gu. a cross botonée ar. quarter pierced of the field, charged with twelve escallops sa. Crest—A leopard pass, or, embrued at the mouth gu. 3) (cos. Gloucester and Northampton). Gu. on a cross botonée ar. five pellets. Crest—A cross botonée ar. charged with five pellets. 4) (Rottendon, co. Essex). Quarterly, 1st and 4th, gu. a cross botonée ar. charged with five pellets; 2nd, ar. on a chev. betw. three rooks’ heads erased sa. as many mullets of the first; 3rd, ar. three bars gemel sa., for Carswell. Crest—A dexter arm in armour, holding in the hand all ppr. a cross botonée fitchée ar. charged with four pellets. 5) (Leicester and Barton, co. Northampton). Same Arms as Chaldon Humfrey, co. Dorset). Crest—A harpy ar. face ppr. crined or. wings expanded of the last. 6) (London; granted 20 June, 1562, by Hervey, Clarenceux, to William Humfrey, “Saye Master to the Queen’s Mint ”). Sa. a chev. engr. or, betw. three bezants, on a chief of the second a rose gu. betw. two fleurs-de-lis az. Crest—A horse’s head or, pellettée betw. two wings barry wavy of six ar. and az. 7) Or, on a chev. betw. three fleurs-de-lis sa. as many bezants. 8) Quarterly, ar. and sa. 9) (Wroxham House, co. Norfolk). Quarterly, 1st and 4th, gu. a lion ramp. and above the head a ducal coronet or, with a canton of the last for distinction, far Humfrey; 2nd and 3rd, ar. a chev. betw. three garbs sa. within a bordure of the last, thereon eight fleurs-de-lis of the first, for Blake. Crests—1st, Humfrey: On a ducal coronet an eagle, wings elevated, holding in the dexter claw a sceptre or, and charged on the breast, for distinction, with a cross crosslet gu. ; 2nd, Blake: On a morion a martlet ppr. Motto—Coelestem spero coronam. 10) Humphrey – Sa. four palets erm. 11) (Dublin; confirmed 26 Jan. 1638). Gu. a lion ramp. or, surmounted by a ducal coronet of the last, armed and langued az. Crest—On a ducal coronet an eagle with wings endorsed, holding in the dexter hand a broken spear all or. 12) (Cavanacor, co. Donegal). Gu. on a cross botonée ar. five pellets. Crest—A sphinx sejant. Motto—Sic olim. 13) or Humphrey (Fun. Ent. of Katherine, dau. of Alderman John Humfrey, of Dublin, and wife of Sir Thady Duffy, Lord Mayor of Dublin, d. 3 March, 1622). (Rishangles, co. Suffolk; confirmed 26 Jan. 1633). (Holbroke and Dunkstone, co. Suffolk). Or, on a bend gu. three leopards’ faces of the field. 14) Humphreys, Humfrey, or Humfry (London and Wales; granted 22 April. 1717). Sa. three nags’ heads erased ar. Crest—A lion sejant or, reposing the dexter foot upon a nag’s head couped ermines. 15) (Penton Lodge, Andover, Surrey, bart.). Az on a chev. or, betw. three gryphons’ heads erased ar. a chaplet of oak vert, a chief of the second, thereon three martlets gu. Crest—A unicorn pass. ar. armed, crined, and hoofed or, the dexter foot supporting a Roman fasces in bend of the last. Motto—Deus protector meus. 16) Humphrie, or Humphry – Sa. three ostrich feathers ar. Crest—A demi griffin, wings endorsed, holding betw. the claws a ducal coronet ppr. 17) (Swebston, co. Leicester, and Barton, co. Northampton. Visit. Leicester, 1619). Quarterly, 1st and 4th, az. a bend betw. four leopards’ faces or; 2nd and 3rd, gu. a cross patonce ar. quarter pierced of the field, charged with four escallops sa. Crest—A harpy ar. crined or, wings displ. gold. 18) (Barton, co. Northampton, and Shipson, co. Leicester; Richard Humphrey, of the former, and Sir Thomas Humphrey, of the latter, Visit. Leicester, 1619, sons of William Humphrey, fifth in descent from Sir Peter Humphrey, Knt., of Cirencester, co. Gloucester). Gu. a cross botonge ar. quarter pierced of the field, charged on each end with three escallops sa. Crest—A harpy ar. crined or, wings displ. gold. 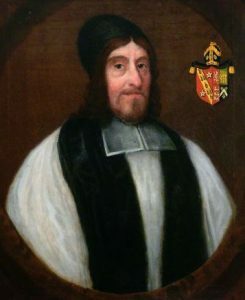 19) (Bishop of Bangor, 1697). Gu. a lion ramp. ar. 20) Gu. a cross patonce erm. Crest—A badger ppr. 21) (London, bart. ; extinct 1737; Sir William Humphreys, Knt., Lord Mayor of London, 1 George, 1714, was created a baronet same year). Sa. three nags’ heads erased ar. 22) (Thomas Humphreys, Esq., of Bodelwyddan, co. Flint, 1660). Ar. on a bend sa. three leopards’ faces or. 23) (James Humphries, Esq., of Ham Frith, co. Essex). Ar. a lion pass. guard. sa., quartering sa. three nags’ heads erased ar. Crest—A nag’s head erased ar. 24) or Humphreys, Humphries, Humphris, and Humphryes – Ar. a lion pass. guard. sa. Crest—Three legs conjoined at the thigh flexed at the knee and spurred ppr. 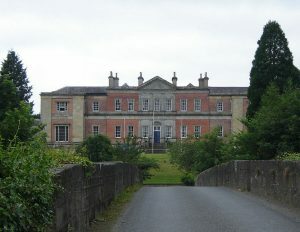 25) (Ballyhaise House, co. Cavan; granted to William Humphrys, Esq., J.P., D.L.). Gu. a lion ramp. superintending his head a ducal coronet or, in a canton ar. a trefoil slipped ppr. Crest—On a ducal coronet an eagle, wings endorsed or, armed and membered gu. in the dexter claw a broken spear head of the first. Motto—Optima sperando spiro. 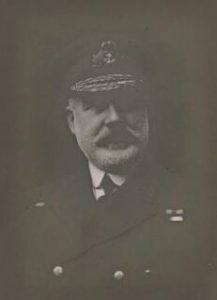 26) or Fitz-Humphrey – (co. Essex). Quarterly, ar. and sa. Crest—A dragon’s head vert, in the mouth a sinister hand gu. 27) Quarterly, ar and sa. four leopards’ faces counterchanged. This is a baptismal or patronymic surname meaning the “son of Humphrey”, which is an Old French personal (first) name that was introduced into the British Isles (primarily England and Wales) by the Normans during and after William the Conquerors Invasion of 1066 AD, which in turn derives from the old Germanic or Teutonic word hun (warrior, bear cub) and frid or fred (peace). When it arrived in Britain in the Middle Ages, it replaced the Old English or Anglo-Saxon masculine given name Hunfrith. There was a Catholic figure, St. Humfrey, who was the Bishop of Therouanne in the 800s AD, who had a following in England among the Norman settlers, which helped established the popularity of the name there starting in medieval times. Catholic.org states the following in regard to this Christian saint: “Benedictine bishop during the Norman invasion, also called Hunfrid. He was a monk at Prum until being made the bishop of Therouanne, France, in 856. Forced to flee the Normans, he returned to restore the city and to become abbot of St. Bertin in France”. Other etymologies for this name exist. For example, Bernard Homer Dixon’s 1857 book Surname states the name derives from the Gothic name Hunfrid, meaning “protecting giant” or “secure as a giant”. Also, William Arthur’s 1857 book An Etymological Dictionary of Family and Christian Names states it’s an Anglo-Saxon name from Humfred, meaning house or peace. Some spelling variants or names with similar etymologies include Humfrey, Humfreys, Humphery, Humphrys, Humphries, Humphreys, Fitz-Humfrey, Hunfray, Umfry, Umfridi, Humphreson, Humphray, Humphris, and numerous others. The last name Humphrey ranks 655th in popularity in the United Status as of the 2000 Census. The name ranks particularly high in the following four states: Kentucky, Missouri, Tennessee, Oklahoma. The surname Humphrey frequency/commonness ranks as follows in the British Isles: England (624th), Scotland (1,455th), Wales (934th), Ireland (4,790th) and Northern Ireland (1,763rd). In England, it ranks highest in county Sussex. In Scotland, the surname ranks highest in Shetland. In Wales, it ranks highest in Caernarfonshire and Merionethshire. In Ireland, it ranks highest in counties Wicklow and Kildare. In Northern Ireland, it ranks highest in county Armagh. The name is also present throughout the remainder English speaking world: Canada (1,509th), New Zealand (881st), Australia (1,105th), and South Africa (2,880th). The name was also present in Scotland. 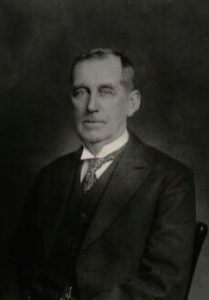 George Fraser Black’s 1946 book, The Surnames of Scotland, states the following in regard to this surname: “Rarely found north of a line drawn from the Wash to the Dee. Humphrey is confined to the eastern half of the area, in Berks, Norfolk, Surrey, Sussex, etc. Humphreys characterizes the western half, being most numerous in North Wales, and after that in Shropshire, Gloucestershire, Wiltshire, etc. Both are rare or absent in the four south – western counties”. 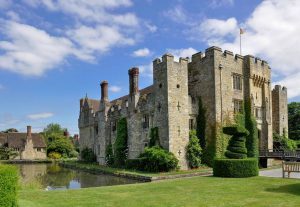 One of the earliest documented instances of this last name was William Humphrey, who was recorded in the Fines Court Rolls of Bedford, England in 1240 AD. The Hundred Rolls of 1273 AD, a census of Wales and England, known in Latin as Rotuli Hundredorum lists four bearers of this surname in county Oxfordshire: John Hunfray, Henry filius (son of) Umfridi, Peter Umfry, and Richard Umfrey. The Poll Tax of 1379 AD of Yorkshire lists one Thomas Howmfra. The Wills at Chester lists one John Humphreson, described as a yeoman, in the parish of Winwick in 1663 AD. An early marriage involving this surname was Christopher Humphrey to Susan Gore at St. Benets in London, England (modern day United Kingdom, once called Great Britain) in 1586 AD. The following is a discussion of seven different noble, royal, landed, or aristocratic families bearing this last name. The lineage or ancestry of this branch of the Humphrey family tree traces back to a settlement made in Ireland made by Richard Humfrey who was born in 1614. He was the son of Richard of Rettenden, county Essex, England and the daughter of Sir Samuel Sanys of Ombersley. He died in 1665. His eldest son was Henry Humfrey, who in 1675, married Catharine, daughter of Francis Rolleston of Frankfort Castle, who died in 1709, having a son named Henry as well. The son Henry, in 1712, married Elizabeth Henthorn, and he died in 1741, having a son named Thomas. This Thomas Humfrey was an Esquire who was born in 1717. He married Elizabeth Stewart. He had a son named Henry who was born in 1757. The son Henry died in 1843 and his estates in Wicklow, Louth, and King’s County went to his kinsman, Benjamin Geale Humfrey. From Benjamin descended Matthew Humfrey, an Esquire. In 1685, Matthew married Deborah, daughter of Benjamin Bunbury of Killerigh, and had five sons with her. His second son was John Humfrey, Esq., who in 1747, married Elizabeth, daughter of John Geale of Mount Geale in Kilkenny, and had a son with her named William. This William was married in 1750. In 1774, he married Mary, daughter of Alexander Kirkpatrick (of the family of Closeburn) and had issue with her as follows: Alexander (married Catherine Craven in 1845, had issue named William Charles, Alexander John, Thomas Craven, Benjamin, and Ellen), Benjamin Geale (of Cavanacor), Anne (married R. Stotesbury), Margaret, Eliza (married J.M. Reade), Catherine, and Mary Anne. His son, Benjamin Geale Humfrey, was an Esquire of Cavancor, Lieutenant Colonel of the Army who served with a 45th regiment during the Peninsular War, a Justice of the Peace, and a High Sheriff who was born in 1793. In 1823, he married Mary, daughter and heiress of William Keys of Cavanacour, and had issue with her: William, John Keys, Alexander (married Louisa Brabazon of Rahan Glebe), Benjamin Deale (a Captain in the Royal Army), Jane, Mary, Marion (married Joseph Fishbourne of Ashfield), Elizabeth (married Robert Moore McMahon of Holly Mount), Kate (who married Brooke Rynd Chambers of Foxhall), and Annie Frances. His eldest surviving son was John Keys Humfrey, an Esquire of Cavanacor, Justice of the Peace, High Sheriff, Lieutenant of the 53rd Regiment, and Captain of the Donegal Militia, who was born in 1828. In 1857, he married Bessie Harriet and had a daughter with her named Henry William Wray of Hollymount and Castle Wray, and had a son with her named Benjamin. He secondly married Maria, daughter of Falconer Miles of Merton Sandford, and had issue with her: William Keys and Alice Mary. He died in 1870 and was succeeded by his son Benjamin. This Benjamin Geale Humfrey was an Esquire of Cavanacor in county Donegal, Ireland who was born in 1858. The Humfrey Coat of Arms (mistakenly called the Humfrey Family Crest) is blazoned in the medieval European art of heraldry as follows: Gules, on a cross botonnee argent five pellets. Crest: A sphinx sejant. Motto: Sic olim. The family was seated at Cavanacor, Strabane, county Donegal, Ireland. The Humphrys family tree traces back to William Humphrys, who was an Esquire of Ballyhaise, county Cavan and a High Sheriff in 1822. He married a woman named Letitia and had a son with her named William. 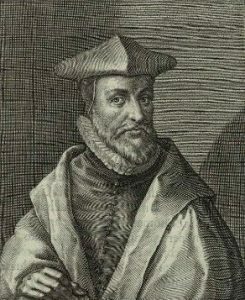 William, Esq. of Ballyhaise House, Justice of the Peace, Deputy Lieutenant, and High Sheriff who was born in 1798. In 1827, he married Anna Maria, daughter of John Pratt Winter of Agher, and had four children with her as follows: William, John Winter, Meryn Archdall, and Anne Elizabeth (married Armorie Russell McGuire). He later married Maria Clarissa, daughter of Hugh Moore of Eglantine House, and had issue with her as follows: Hugh (Captain in the 15th Hussars), Armitage Eglantine (1843), Cecilia Letitia (married Arthur Shirley Ball of Gerladstown), Clara (married Clifford Walton), Sylvia Priscilla (married Nugent Everard of Randalstown). He died in 1872. His son John Winter Humphrys was an Esquire of Ballyhaise House, county Cavan, Ireland, who was born in 1829. In 1854, he married Priscilla Cecilia, daughter of Reverend J.P. Garrett of Kilgarron, and he had issue with her as follows: William (born 1855, served in the Royal Navy), John Mervyn, James Winter, Charles Vesey (born 1862), Mervyn Archgall, Francis Edward, Arthur Armitage, Llewelyn Winter, Percy Raymond (1873), Carolina Elizabeth, Priscilla Cecilia, Clara Christina, Anna Maria, and Emily May. The Humphys Coat of Arms has the following heraldic blazon: Gules, a lion rampant, and above the head a ducal coronet or, on a canton of the last a trefoil vert. Crest: On a ducal coronet an eagle, wings elevated, holding in his dexter claw a scepter or. Motto: Optima sperando spiro. This branch of the family tree derives its lineage/genealogy from Edwin, Lord of Tegaingl, in Flint, the founder of the Twelfth Noble Tribe of North Wales and Powys. Eleventh in succession from him came Ikvan Voelvrych (Ap Iorworth Vaughan) of Macngwynedd. He married Eda, daughter of Cyholyn, son of Rhun ap Einion Efell, and had four children with her as follows: Ievan (ancestor of several branches of the Owens family), Einion, Llewelyn, and Iorweth Goch. The third son, Llewelyn had a son named Ievan, who had a son named William. This William Ap Ievan was seated (held land and titles) at Llangar, county Merioneth. He had a son named Elisau ap William who married Margaret, daughter of Ievan ap Richard. He was succeeded his son Humffrey ap Elinau of Glanalwen of Llangar and Maerddu in county Merioneth. Humffrey married Eleanor, the daughter of Edward Lloyd of Llysvassy, and had a son with her named William. This William first adopted the surname of Humffreys and served as a Captain in the military under King Charles I of England. He married Dorothy, daughter of Peter Meyrick of Ucheldre, and had a son with her named William. This son, William Hummffreys of Merddu, married Jane, daughter of Edward Wynne of Llangynhafal, and had a son with her, also named William. This William was born in 1666. He married Grace, daughter of Robert Lloyd of Porth, and had issue with her. His son was named Roger. Roger was an Esquire of Llanfyllin, county Montgomery, Wales, who was born in 1695. He died in 1733, leaving a son named William. William was an Esquire of Llwyn and he had a son named John. 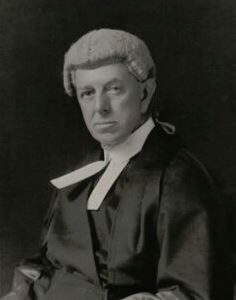 This son, John Humffreys, was an Esquire of Llwyn and he married Rebecca, daughter of William Mostyn Owen of Woodhouse, county Salop, England, having seven issue with her as follows: John Humffreys, William (his successor), Roger Mostyn, Thomas Henry, Edward Arthur, Harriet Rebecca, and Frances Anne. William Humffreys was an Esquire of Llwyn, county Montgomery, Wales, who succeeded his brother in August of 1824. The Humffreys Coat of Arms is blazoned in heraldry as follows: Quarterly: 1st and 4th, argent, a cross flory, engrailed, sable, between four Cornish choughs, proper, on a chief, azure, a boar’s head, couped, argent, tunked, or, langued, gules, for Humffreys; 2nd and 3rd, ermine, a mitier, engrailed, gules, thereon a crescent, or, for Llyod of Forth. Crest: On a chapeau, a boar, passant, argent, fretty, guules, more usually described and depicted as a boar in a net. Robert Blake Humfrey was an Esquire of Wroxham House in county Norfolk, Justice of the Peace, and Deputy Lieutenant who was born in 1795. In 1838, he married Charlotte, daughter of Lieutenant Colonel Harvey of Thorpe Lodge and Frances Kerrison, and had seven children with her as follows: Robert Harvey, Thomas, John, Margaret (married Harvey, son of John Ranking of Wansworth Common), Eleanor, Caroline, and Isabel Charlotte. Robert fought in the Peninsula War and was wounded at the passage of Nive, for which he received a medal with two clasps. He was the son of Thomas Blake of Norwich. In 1847, he assumed by royal license the last name and arms of Humfrey in addition to his paternal name, per the will of Reverend John Humfrey of Wroxham, the Rector of Great Dunham and Crostwick. Reverend John descended from an old family who lived in Rishangles, Suffolk, England. He was the son of Reverend Richard Humfrey, the Rector of Thorpe. The Humfrey Coat of Arms (mistakenly called the Humfrey Family Crest) for this branch of the family tree is blazoned in the medieval art of heraldry as follows: Quarterly: 1st and 4th, gules, a lion, rampant, and above the head a ducal coronet, or, with a canton, of the last, for distinction, for Humfrey; 2nd and 3rd, argent, a chevron, between three garbs, sable, within a bordure, of the last, thereon eight fleurs-de-lis of the first, for Blake. Crest: 1st, on a ducal coronet, an eagle, wings elevated, holding in the dexter claw a scepter, or, and charged on the breast (for distinction) with a cross crosslet, gules, for Humfrey; 2nd, on a motion, a martlet, proper, for Blake. The Humfrey family motto is Coelestem spero coronam. This family was seated at Wroxham House, county Norfolk, England (modern United Kingdom, once called Great Britain). 1) John Humphrey was born in Windsor, Connecticut in 1650. He married Hannah Griffin and had issue with her as follows: Deacon John, Captain Samuel, Joseph, Mary, Thomas, Abigail, and Nathaniel. 2) Samuel Humphrey was born in Connecticut in 1656. He married Mary Mills and had issue with her as follows: Mary (Case), Elizabeth, Samuel, Colonel Jonathan, Abigail (Case), Hannah, Charles, Captain Noah, Thomas, Lois (Wright), and Eunice. A one Edward Humphry was born in England prior to 1543 AD. He was a wealthy mill owner and merchant. He was a member of the gentry in Cornwall. He had a wife named Jane. He had a son named James. This James married Phillipa Lower and had children with her as follows: Olive (Crewes), Mary, Jae (Crewes), Ellen, Joan, Edward, and Phillip. A one Morgan Humphrey was born in Trawsfynydd, Marionethshire, Wales in 1560 AD. He married a woman named Gwenlilan and had a son with her named Morgan. This son Morgan was born in the same area in 1590. He married Elizaberth Powell and had a son with her named William. William Evan Humphreys I was born in Trefeglwys, Montgomeryshire, Wales in 1618. He married Judith Davies and had a son with her named Evan. Evan was born in Monmouthshire in 1645 AD. He went to colonial America and in 1679, married Jane Harris in Surry, Virginia. They had issue together including Catherine, Frances, Mary, Elizabeth, Margaret, Evan, and Robert. 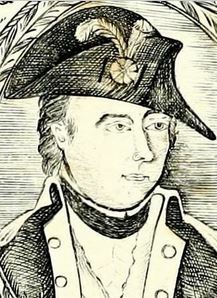 His son Robert H. Humphreys was born in Virginia in 1670. He married a woman named Mary had had three sons named John, John, and Joseph. His son John was born in Somerset, Pennsylvania in 1690. He married Catherine and had a son with her also named John. This son was named John Jehu Humphreys and he was born in Pennsylvania in 1717. He married Susannah North and had the following children with her: Moses, Richard, Elizabeth (Greenway), Elijah Vernon, Jesse, Jehu William, George Washington, Melinda, and Pelham. 1) John Humfrey, Lynn, a gentleman of great merit for his services to America, was the deputy governor of the Massachusetts Bay Colony in England, and came over in 1634, likely aboard the Planter, with his Susan (daughter of Thomas Clinton, 3rd Earl of Lincoln) and daughters named Ann, Dorcas, and Sarah. 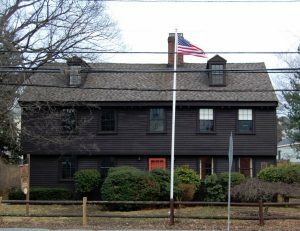 While in Salem, Massachusetts, he had issue named Theophilus (1637), Thomas (1638), Joseph (1640), and Lydia (1641). He may have also had a son named John and another daughter. He served in an artillery company in 1651. He was also a Major General. He went home in 1641. 3) Jonas Humphrey of Dorchester, 1634, a tanner by trade, whose puts were employed by six generations, was from Wendover, county Buckinghamshire, England where he served as a constable. He came to colonial America with his children Jonas, James, and probably Elizabeth and Susannah. His wife Frances also may have come with him. He later married Jane, the widow of George Weeks. He died in 1662. 4) Michael Humphrey of Windsor, perhaps had been present at Dorchester, a freeman of Connecticut in 1657. In 1647, he married Priscilla, daughter of Matthew Grant, and had issue with her named John (1650), Mary (1653), Samuel (1656), Sarah (1659), Martha (1663), Abigail (1666), and Hannah (1669). He moved to Simsbury in 1669. He died in 1697. 5) Nathaniel Humphrey of Hartford, CT, married Agnes, daughter of Samuel Spencer. 7) Thomas Humphrey of Dover, 1660, who in 1665, married Hingham, daughter of George Lane, who lived at Pemaquif in 1674. He swore fidelity to Massachusetts in 1674. Joseph Humfrey, age 23, came to Virginia aboard the Assurance in July 1635. Other settlers in colonial America bearing this surname include John Humfrey (Massachusetts 1629), John Humfrey (Massachusetts 1632), Amey Humphrey (Virginia 1634), Joe Humfrey (Virginia 1635), Jonas Humphrey (Massachusetts 1639), Michael Humphrey (Connecticut 1642), Joseph Humphrey (Virginia 1706), Evan Humphrey (Virginia 1710), and Jane, Jennet, and William Humphrey (New England 1719). In Canada, some of the earliest settlers bearing this last name were John and Racheal Humphrey, who came to Shelburne, Nova Scotia aboard the HMS Clinton in 1783. They were United Empire Loyalists (Americans who remained loyal to the British Crown during the American Civil War). In Australia, George, Henry, and Thomas Humphrey came to the city of Adelaide in 1846 aboard the Phoebe. In New Zealand, George Humphrey came to the city of Auckland in 1843 aboard the Westminster. In 1864, John E. Humphrey also came to Auckland aboard the Nimroud in 1864. 1) [Gules?] a cross botonnée argent, a crescent for differemce. Crest: a leopard passant. Seal of John Humfrey of Sandwich, Co. Kent and N. E. (Winthrop papers). Heral. Jour., vol. 1, p. 192. 2) Or a fess azure between 3 griffins’ heads couped [??] and in chief a crescent. Crest: a griffin passant. Motto: Quo fata vocant. Bookplate Maj. Reuben Humphreys, 1757-1832, M. C., of Simsbury, Conn., and Marcellus, N. Y. Bates Early Conn. Engr., p. 23. 3) Argent a lion passant guardant sable. On a chief sable a pale or bet 2 bezants. Crest: two mailed and spurred legs reversed and addorsed. Motto: Inveniam viam aut faciam. Bookplate Sidney Humphries. 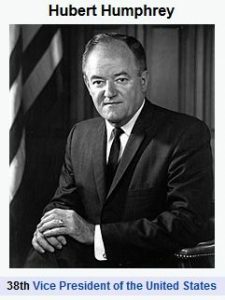 There are hundreds of notable people with the Humphrey surname. This page will mention a handful. Famous people with this last name include: 1) Sir Andrew Henry Humphrey (1921-1977) who was the Marshal of the Royal Air Force who fought in World War II as a fighter pilot in the Battle of Britain, born in Edinburg, Scotland, 2) Claude B. Humphrey (1944) who was a former American football player born in Memphis, Tennessee who played in the NFL for the Atlanta Falcons and Philadelphia Eagles from 1968-1981, 3) Heman Humphrey (1779-1861) who was a 19th-century American author and clergyman who was the second President of Amherst College from 1823-1845, born in West Simsbury, Connecticut, 4) Ozias Humphry (1742-1810) who was an English painter of portrait miniatures and oils/pastels, elected to the Royal Academy in 1791, 5) Hubert Horatio Humphrey Jr. (1911-1978) who was the 38th Vice President of the United States from 1965-1969 during the Johnson Administration and previously United States Senator from Minnesota (1949-1964 and 1971-1978) and Mayor of Minneapolis (1945-1948), born in Wallace, South Dakota, 6) Gordon John Humphrey (1940) who was a US Senator from New Hampshire from 1979-1990 who was a Republican, born in Bristol, Connecticut, 7) William Ewart Humphrey (1862-1934) who served in the US House of Representatives for Washington from 1909-1917, born in Alamo, Indiana, 8) Ralph “Rusty” Humphries (1965) who is a broadcaster, songwriter, and conservative talking head from the state of Washington whose show, The Rusty Humphries Show, the 6th ranked largest talk program in the US, 9) Pelham Humfrey (1647-1674) who was an English composer who was sent by the King to Study in Paris who produced the song O Lord my God, and 10) William Stanley Humphries (1965) who is a retired American football quarterback who played in the NFL from 1988 to 1997 for the Washington Redskins and San Diego Charges, born in Shreveport, Louisiana. Three of the main heraldic symbols depicted within the Humphrey Coat of Arms (incorrectly referred to as the Humphrey Family Crest or Humphrey Family Shield) are the cross botonee, escallop, and bezant, each which have their own unique meaning. No other symbol appearing in heraldry is subject to as much variation as the cross. Mediaeval Europe was a deeply religious and Christian and many of the nobility wanted to show their devotion by adopting the symbol of the cross as part of the arms. Since no two arms could be identical there arose many variants of the cross, typically involving patterning along the edges, or fanciful, decorative endings to the arms of the cross. The cross botonnee has all four, even length arms ending in three bulges. The escallop occurs often in arms, represented as the outside of the shell, sometimes “fluted” of a different color. It has been part of heraldic tradition almost from the beginning of the art, Henry III of England awarded Gules, three escallops argent to Herbert de CHAMBERLEYNE in the 13th century, and it is present in the heraldry of almost all countries. It is believed that they were adopted as badges of those medieval Christian pilgrims going to the Holy Land and can be found in the arms of many a crusading family. It is thought they wore the scallop shell or symbol of said shell on their clothes on their way to see and worship at his the shrine of St. James the Greater. St. James the Greater, one of the Twelve Apostles of Jesus, who was born in Bethsaida, Judaea, Roman Empire, dying in 44 AD. Hence Wade’s suggested association of the scallop with those that “complete long journeys to far countries”. Another tradition states the pilgrim would carry this shell with him to castles, churches, and other structures and could obtain as much food/water that would be picked up with one scoop of the shell, and hence also symbolizes or conveys hospitality. For easy recognition of the items on a coat of arms, and hence the quick identification of the owner, bold simple shapes are best. Hence, simple geometric shapes are often used for this purpose, and the bezant is a typical example of this, and in British Heraldry always takes the tincture or. It shares the same root as the name Byzantium, being associated with the gold coin of that city and indeed, in some heraldic traditions is represented as a coin-like disk in perspective. Wade suggests that the use of this device refers to “one who had been found worthy of trust and treasure.” A bezant is essentially a gold roundle.